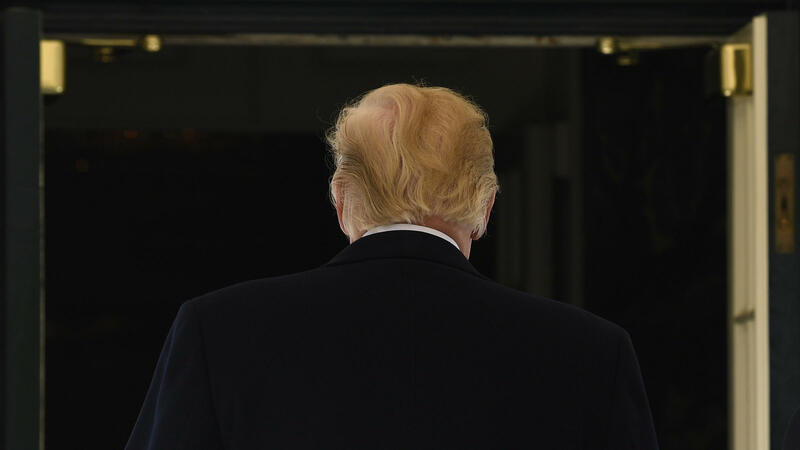 President Trump has always managed by instinct and gut, but the results don't always translate into a successful Cabinet confirmation or policies that can withstand judicial scrutiny. President Trump described White House physician and former Cabinet nominee Ronny Jackson on Friday as an "American hero." There hasn't been a lot of public self-reflection on what could have been done better. But there are reasons why, in addition to higher Cabinet turnover than his predecessors, President Trump is lagging behind past presidents in the number of people nominated and confirmed for Senate-confirmable positions. Trump has always managed by instinct and gut — not by orderly process. And for him, the chaos that ensues is just part of his brand. But it doesn't always result in a successful Cabinet confirmation or policies that can withstand judicial scrutiny. Turning to Rear Adm. Jackson to lead the Department of Veterans Affairs surprised many on the White House staff, just like Trump's decision to rush out the travel ban in his first week in office or to impulsively announce steel tariffs on U.S. allies. Instead of turning to someone with experience managing large organizations, Trump chose someone he knew and felt comfortable with. The president even acknowledged that "Dr. Ronny," as he calls him, had an "experience problem." That was already causing Jackson problems on Capitol Hill even before lawmakers received allegations from current and former military service members who worked with him that he had created a toxic work environment, drunkenly wrecked a car and maintained poor prescription records. Jackson and the president insist the allegations are false, but, in the end, neither was willing to fight them. After all, as Trump admitted, Jackson hadn't even asked for the job. 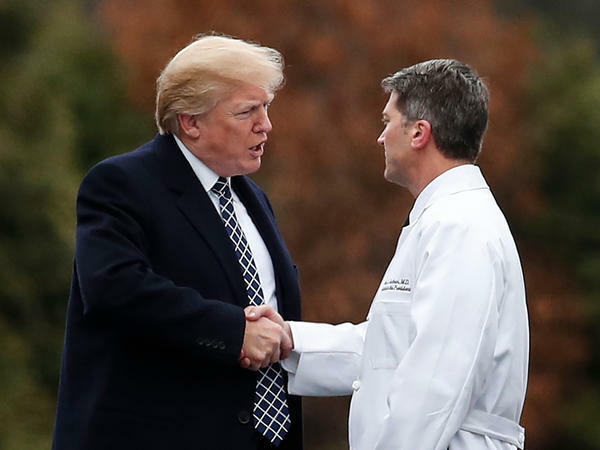 The White House says Jackson was vetted — he had served three presidents and received glowing reviews from them, as well as from current and former White House staffers, who praised Jackson's skills and attentiveness as a doctor. The allegations, however, appear to have principally come from people who worked with Jackson in the White House medical office. "All I can tell you is we didn't initiate this discussion," Sen. Jon Tester, D-Mont., the ranking Democrat on the Senate Veterans' Affairs Committee, told NPR's Ari Shapiro on Tuesday before Jackson withdrew his nomination. "This discussion came when we were notified by folks who work with Adm. Jackson, folks in the military." The purpose of vetting is not just to provide answers to senators on Capitol Hill, but also to protect nominees from having his or her reputation sullied unnecessarily. If the White House had conducted the equivalent of "opposition research" on Jackson — as has been standard for high-level nominees in past administrations — it might never have pursued his nomination. As it stands now, he remains White House doctor, but his professional reputation has been damaged. The reason Trump nominated Jackson in the first place is because he fired VA Secretary David Shulkin. Shulkin had clashed with other administration officials and says he was pushed out by people who wanted to privatize VA health care and allow big corporations to profit from treating veterans. Shulkin's critics say ethics problems did him in. Either way, the VA, which is the second-largest federal agency, is still leaderless and in the midst of a polarizing debate over how much care for veterans should be outsourced to private companies. Trump has made overhauling the VA one of his top priorities. He has promised veterans better care with shorter wait times, and he considers veterans and members of the military part of his base. Coincidentally, Trump had a scheduled event with wounded veterans at the White House on Thursday, just hours after Jackson announced he was pulling his nomination. Withdrawing Jackson's nomination only further postpones VA changes. On Thursday, Trump told Fox News that he had another candidate in mind to lead the agency. As if he were teasing the next episode of a reality TV show, though, he wouldn't give a name, saying only that it will be "somebody with political capabilities." In the Trump era, it's unclear what that means.